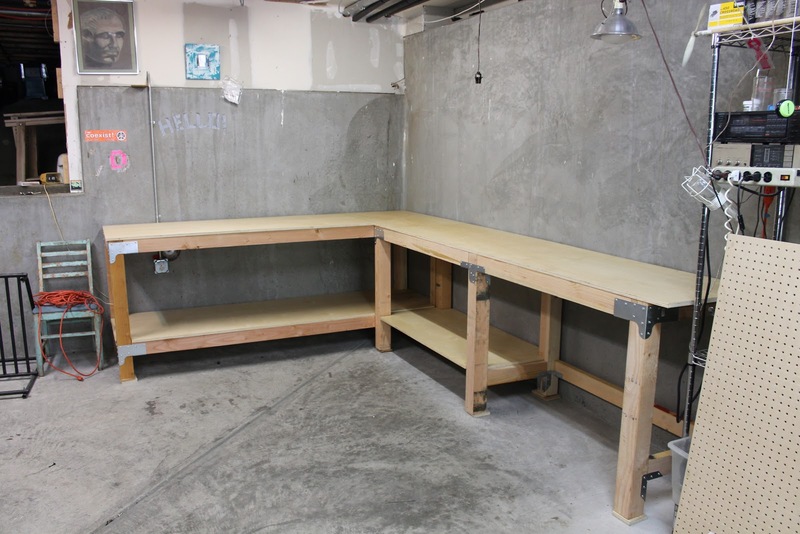 No matter if your garage is big or small, a well-constructed custom workbench is key to keeping clutter under control without compromising vehicle parking space. 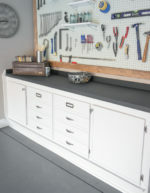 A custom garage workbench can also aid in keeping your car or truck from the inevitable dings, dents and scrapes that can unfortunately occur in an otherwise cluttered garage. 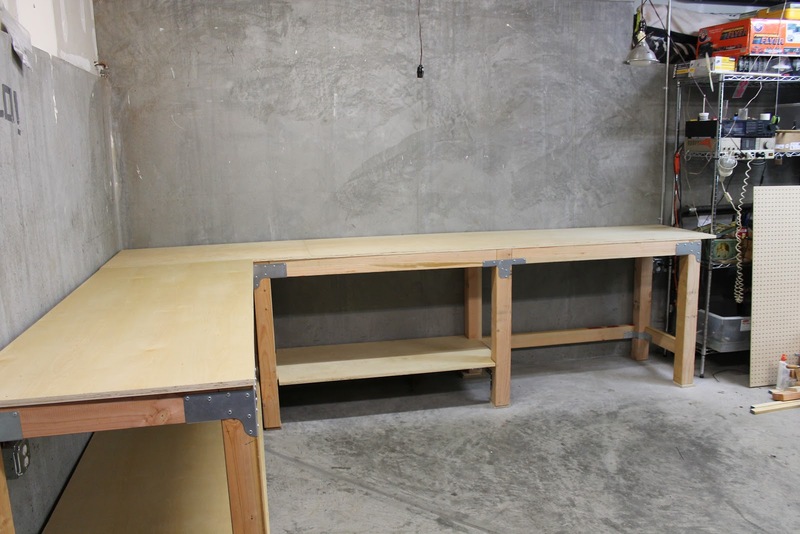 In addition to providing a work surface for a hobby or minor mechanical repair, a well-designed workbench should also feature plenty of room underneath the bench surface for storage. 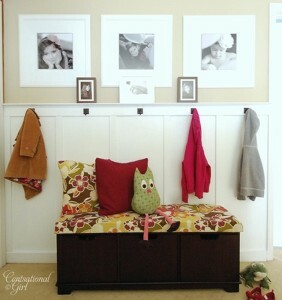 This under bench area can be completely open, or feature shelves depending on need. 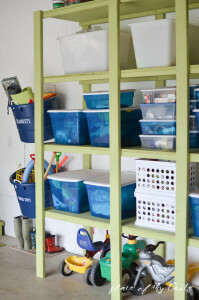 Shelving increases storage capacity of smaller items such as paint cans while open areas allow for stowage of larger objects, including spare tires, leaf blowers, garbage cans; basically whatever will fit! 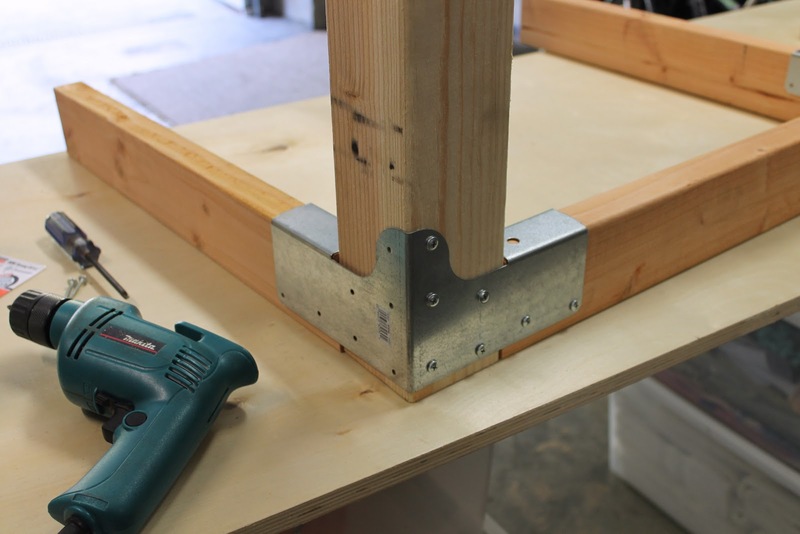 Caitlin over at theshingledhouse.com has put together an excellent photo tutorial that beautifully illustrates the basic construction of a custom garage workbench. You can see the finished workbench above and that is as attractive and functional as it is sturdy. Special problems in this build included dealing with uneven garage floor slopes. This problem was solved by constructing an L-shaped bench in two sections, with a joined top and bringing the sections to plum with shims slipped under the bench legs. Special attention has been paid to making this bench rock solid and steady, with excellent joint and bracket hardware suggestions accompanied by clear photographs. The end result is a work bench that increases the overall storage capacity of the garage and also provides a safe platform capable of supporting the weight of a full grown adult, should the need arise. 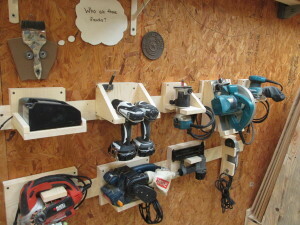 Be sure to check out the additional links on the page that will lead you to the installation of a mounted pegboard for handy and instantly accessible tool storage and further ideas for wall mounted shelving.